Au-delà des études physico-chimiques approfondies, dans lesquelles la cristallochimie occupe une position dominante, l’équipe Chimie du Solide et Matériaux (CSM) développe une démarche de valorisation des composés et matériaux multifonctionnels obtenus dans les domaines de l’énergie, de l’optique, l’électronique et des télécommunications, de la santé et de l’environnement. L’équipe CSM est membre de l’Institut des Sciences Chimiques de Rennes – 6226. Synthèse, étude structurale multi-échelle et propriétés physiques; corrélation structure-propriétés dans des composés solides et des matériaux pour le domaine de l’énergie. Mobilité ionique dans les phosphates et sulfates et oxoanions associés. Étude de matériaux in-situ ou en condition d’usage : étude structurale de catalyseurs par diffraction des rayons X/ RMN du solide en température et sous atmosphère contrôlée. Étude de transitions de phase. Conception d’un dispositif de capteur de pression utilisant la Résonnance Quadruplolaire Nucléaire. Equipements partagés : diffractomètre petits moyens et grands angles. Pott, T.; Gerbeaud, C.; Barbier, N.; Meleard, P., Chemistry and Physics of Lipids 2015, 185, 99-108. Munoz-Becerra, K.; Hermosilla-Ibanez, P.; Le Fur, E.; Cador, O.; Paredes-Garcia, V.; Spodine, E.; Venegas-Yazigi, D., Crystal Growth & Design 2015, 15, (6), 2561-2564. Gautier, R.; Fourre, Y.; Furet, E.; Gautier, R.; Le Fur, E., European Journal of Inorganic Chemistry 2015, (11), 1941-1945. Fuentealba, P.; Cortes, C.; Audebrand, N.; Le Fur, E.; Paredes-Garcia, V.; Venegas-Yazigi, D.; Manzur, J.; Spodine, E., Dalton Transactions 2015, 44, (28), 12493-12496. Masuda, N.; Kobayashi, Y.; Hernandez, O.; Bataille, T.; Paofai, S.; Suzuki, S.; Ritter, C.; Ichijo, N.; Noda, Y.; Takegoshi, K.; Tassel, C.; Yamamoto, T.; Kageyama, Journal of the American Chemical Society 2015, 137, 15315-15321. Ben Salah, M.; Naïli, H.; Mhiri,T. ; Bataille, T., Crystallography Reports 2015, 60, 1053-1057. Kammoun, O.; Naïli, H.; Rekik, W.; Bataille, T., Inorganica Chimica Acta 2015, 434, 209-214. Kammoun, O.; Rekik, W.; Naïli, H.; Bataille, T., New Journal of Chemistry 2015, 39, 2682-2689. Rekik, W.; Naïli, H. ; Bataille, T.,Journal of Coordination Chemistry 2015, 68, 142-154. Sykina, K.; Bureau, B.; Le Polles, L.; Roiland, C.; Deschamps, M.; Pickard, C. J.; Furet, E., A combined Se-77 NMR and molecular dynamics contribution to the structural understanding of the chalcogenide glasses. Physical Chemistry Chemical Physics 2014, 16, (33), 17975-17982. Ricordel, C.; Miramon, C.; Hadjiev, D.; Darchen, A., Investigations of the mechanism and efficiency of bacteria abatement during electrocoagulation using aluminum electrode. Desalination and Water Treatment 2014, 52, (28-30), 5380-5389. Mera, A. C.; Moreno, Y.; Pivan, J. Y.; Pena, O.; Mansilla, H. D., Solvothermal synthesis of BiOI microspheres: Effect of the reaction time on the morphology and photocatalytic activity. Journal of Photochemistry and Photobiology a-Chemistry 2014, 289, 7-13. Letaief, N.; Lucas-Girot, A.; Oudadesse, H.; Meleard, P.; Pott, T.; Jelassi, J.; Dorbez-Sridi, R., Effect of aging temperature on the structure, pore morphology and bioactivity of new sol-gel synthesized bioglass. Journal of Non-Crystalline Solids 2014, 402, 194-199. Hermosilla-Ibanez, P.; Costamagna, J.; Vega, A.; Paredes-Garcia, V.; Le Fur, E.; Spodine, E.; Venegas-Yazigi, D., Coordination interactions in the crystalline lattice of alkaline ions with the polyoxometalate [ V12B18O60H6] 10-ligand. Journal of Coordination Chemistry 2014, 67, (23-24), 3940-3952. Hermosilla-Ibanez, P.; Costamagna, J.; Vega, A.; Paredes-Garcia, V.; Garland, M. T.; Le Fur, E.; Spodine, E.; Venegas-Yazigi, D., Protonated diamines as linkers in the supramolecular assemblies based on the [V12B18O60H6] polyoxovanadoborate anion. Journal of Structural Chemistry 2014, 55, (8), 1453-1465. Hermosilla-Ibanez, P.; Canon-Mancisidor, W.; Costamagna, J.; Vega, A.; Paredes-Garcia, V.; Garland, M. T.; Le Fur, E.; Cador, O.; Spodine, E.; Venegas-Yazigi, D., Crystal lattice effect on the quenching of the intracluster magnetic interaction in [V12B18O60H6](10-) polyoxometalate. Dalton Transactions 2014, 43, (37), 14132-14141. Hamchaoui, F.; Alonzo, V.; Rebbah, H.; Le Fur, E., K-6[Fe-8.27(HPO3)(12)]: a new mixedvalence iron phosphite. Acta Crystallographica Section C-Structural Chemistry 2014, 70, 351-+. Gautier, R.; Auguste, S.; Clevers, S.; Dupray, V.; Coquerel, G.; Le Fur, E., Influence of the cation size on the second harmonic generation response of chiral A(VO2)(2)(PO4)center dot 3H(2)O (A = K+, NH4+ and Rb+). Crystengcomm 2014, 16, (47), 10902-10906. Fan, X.; Freslon, S.; Daiguebonne, C.; Calvez, G.; Le Polles, L.; Bernot, K.; Guillou, O., Heteronuclear lanthanide-based coordination polymers exhibiting tunable multiple emission spectra. Journal of Materials Chemistry C 2014, 2, (28), 5510-5525. Auguste, S.; Alonzo, V.; Bataille, T.; Le Polles, L.; Canon-Mancisidor, W.; Venegas-Yazigi, D.; Le Fur, E., Lithium vanadyl oxalatophosphite: Influence of the water content on the crystal structures and the dehydration scheme. Journal of Solid State Chemistry 2014, 211, 212-218. Venegas-Yazigi, D.; Muñoz, K.; Saldias, M.; Valdés de la Barra, K.; Vega, A.; Paredes-García, V.; Gomez-García, C. J.; Le Fur, E.; Cañon-Mancisidor, W.; Spodine, E., Magnetic Properties of Vanadium(IV)-Based Extended Systems: [(VO)3(Î¼-PO4)2(2,2â€™-bpy)(Î¼ -OH2)].1/3H2O and (VO)2H4P2O9. Inorganica Chimica Acta 2013, 395, (0), 176-180. Venegas-Yazigi, D.; Munoz, K.; Saldias, M.; de la Barra, K. V.; Vega, A.; Paredes-Garcia, V.; Gomez-Garcia, C. J.; Le Fur, E.; Canon-Mancisidor, W.; Spodine, E., Magnetic properties of vanadium(IV)-based extended systems: [(VO)(3)(mu-PO4)(2)(2,2 ‘-bpy)(mu-OH2)]center dot 1/3H(2)O and (VO)(2)H4P2O9. Inorganica Chimica Acta 2013, 395, 176-180. Tchomgui-Kamga, E.; Audebrand, N.; Darchen, A., Effect of co-existing ions during the preparation of alumina by electrolysis with aluminum soluble electrodes: Structure and defluoridation activity of electro-synthesized adsorbents. Journal of Hazardous Materials 2013, 254, 125-133. Sykina, K.; Yang, G.; Roiland, C.; Le Polles, L.; Le Fur, E.; Pickard, C. J.; Bureau, B.; Furet, E., Se-77 solid-state NMR of As2Se3, As4Se4 and As4Se3 crystals: a combined experimental and computational study. Physical Chemistry Chemical Physics 2013, 15, (17), 6284-6292. Sivasankar, V.; Murugesh, S.; Rajkumar, S.; Darchen, A., Cerium dispersed in carbon (CeDC) and its adsorption behavior: A first example of tailored adsorbent for fluoride removal from drinking water. Chemical Engineering Journal 2013, 214, 45-54. Silva-Galaz, C.; Saldias, M.; Freire, E.; Baggio, R.; Le Fur, E.; Paredes-Garcia, V.; Spodine, E.; Venegas-Yazigi, D., Catena-(bis((1,10-phenanthroline-N,N ‘)-copper(II)) hydroxy-bis (phosphato)-tris(dioxo-vanadium(v))): A polymorphic phase driven by disorder. Journal of Molecular Structure 2013, 1051, 205-210. Moreno, Y.; Arrue, R.; Saavedra, R.; Pivan, J. Y.; Pena, O.; Roisnell, T., MAGNETIC AND STRUCTURAL STUDY OF UNSOLVATED [Cu(acac)(2)], (acac= acetylacetonate). Journal of the Chilean Chemical Society 2013, 58, (4), 2122-2124. Le Natur, F.; Calvez, G.; Daiguebonne, C.; Guillou, O.; Bernot, K.; Ledoux, J.; Le Polles, L.; Roiland, C., Coordination Polymers Based on Heterohexanuclear Rare Earth Complexes: Toward Independent Luminescence Brightness and Color Tuning. Inorganic Chemistry 2013, 52, (11), 6720-6730. Kalyani, P.; Anitha, A.; Darchen, A., Activated carbon from grass – A green alternative catalyst support for water electrolysis. International Journal of Hydrogen Energy 2013, 38, (25), 10364-10372. Haquin, V.; Etienne, M.; Daiguebonne, C.; Freslon, S.; Calvez, G.; Bernot, K.; Le Polles, L.; Ashbrook, S. E.; Mitchell, M. R.; Bunzli, J. C.; Eliseeva, S. V.; Guillou, O., Color and Brightness Tuning in Heteronuclear Lanthanide Terephthalate Coordination Polymers. European Journal of Inorganic Chemistry 2013, 2013, (20), 3464-3476. Hamchaoui, F.; Rebbah, H.; Le Fur, E., Ammonium diphosphitoindate(III). In Acta Crystallographica Section E, 2013; Vol. 69, pp i21-i22. Hamchaoui, F.; Alonzo, V. r.; Venegas-Yazigi, D.; Rebbah, H.; Le Fur, E., Six novel transition-metal phosphite compounds, with structure related to yavapaiite: Crystal structures and magnetic and thermal properties of AI[MIII(HPO3)2] (A=K, NH4, Rb and M=V, Fe). Journal of Solid State Chemistry 2013, 198, (0), 295-302. Hamchaoui, F.; Alonzo, V.; Venegas-Yazigi, D.; Rebbah, H.; Le Fur, E., Six novel transition-metal phosphite compounds, with structure related to yavapaiite: Crystal structures and magnetic and thermal properties of A(I)[M-III(HPO3)(2)] (A=K, NH4, Rb and M=V, Fe). Journal of Solid State Chemistry 2013, 198, 295-302. Gautier, R.; Gautier, R.; Hernandez, O.; Audebrand, N.; Bataille, T.; Roiland, C.; Elkaim, E.; Le Polles, L.; Furet, E.; Le Fur, E., DFT-assisted structure determination of alpha(1)- and alpha(2)-VOPO4: new insights into the understanding of the catalytic performances of vanadium phosphates. Dalton Transactions 2013, 42, (22), 8124-8131. Gautier, R.; Gautier, R.; Hernandez, O.; Audebrand, N.; Bataille, T.; Roiland, C.; Elkaim, E.; Le Polles, L.; Furet, E.; Le Fur, E., DFT-assisted structure determination of [small alpha]1- and [small alpha]2-VOPO4: new insights into the understanding of the catalytic performances of vanadium phosphates. Dalton Transactions 2013, 42, (22), 8124-8131. Flilissa, A.; Meleard, P.; Darchen, A., Selective removal of dodecyl sulfate during electrolysis with aluminum electrodes. Desalination and Water Treatment 2013, 51, (34-36), 6719-6728. Cuny, J.; Cordier, S.; Perrin, C.; Pickard, C. J.; Delevoye, L.; Trebosc, J.; Gan, Z. H.; Le Polles, L.; Gautier, R., Mo-95 Solid-State Nuclear Magnetic Resonance Spectroscopy and Quantum Simulations: Synergetic Tools for the Study of Molybdenum Cluster Materials. Inorganic Chemistry 2013, 52, (2), 617-627. Chaabane, T.; Zaidi, S.; Darchen, A.; Maachi, R., Treatment of pharmaceutical effluent by electrocoagulation coupled to nanofiltration. Desalination and Water Treatment 2013, 51, (25-27), 4987-4997. Aubert, T.; Cabello-Hurtado, F.; Esnault, M. A.; Neaime, C.; Lebret-Chauvel, D.; Jeanne, S.; Pellen, P.; Roiland, C.; Le Polles, L.; Saito, N.; Kimoto, K.; Haneda, H.; Ohashi, N.; Grasset, F.; Cordier, S., Extended Investigations on Luminescent Cs-2[Mo6Br14]@SiO2 Nanoparticles: Physico-Structural Characterizations and Toxicity Studies. Journal of Physical Chemistry C 2013, 117, (39), 20154-20163. Venegas-Yazigi, D.; Vega, A.; de la Barra, K. V.; Saldias, M.; Le Fur, E., A new hybrid organic-inorganic chain: [(phen)Cu-mu-(kappa O-2:O ‘-VP2O10H3)(2)-Cu(phen)](n). Acta Crystallographica Section C-Crystal Structure Communications 2012, 68, M200-M202. Sivasankar, V.; Rajkumar, S.; Murugesh, S.; Darchen, A., Influence of shaking or stirring dynamic methods in the defluoridation behavior of activated tamarind fruit shell carbon. Chemical Engineering Journal 2012, 197, 162-172. Sivasankar, V.; Rajkumar, S.; Murugesh, S.; Darchen, A., Tamarind (Tamarindus indica) fruit shell carbon: A calcium-rich promising adsorbent for fluoride removal from groundwater. Journal of Hazardous Materials 2012, 225, 164-172. Saldias, M.; Paredes-Garcia, V.; Vega, A.; Canon-Mancisidor, W.; Le Fur, E.; Venegas-Yazigi, D.; Spodine, E., One dimensional inorganic oxovanadium polymers functionalized with manganese(II) complexes: Structural and magnetic characterization. Polyhedron 2012, 41, (1), 120-126. Hermosilla-Ibanez, P.; Car, P. E.; Vega, A.; Costamagna, J.; Caruso, F.; Pivan, J. Y.; Le Fur, E.; Spodine, E.; Venegas-Yazigi, D., New structures based on the mixed valence polyoxometalate cluster [V12B18O60H6](n-). Crystengcomm 2012, 14, (17), 5604-5612. Castets, A.; Carlier, D.; Zhang, Y.; Boucher, F.; Marx, N.; Gautier, R.; Le Fur, E.; Le Polles, L.; Croguennec, L.; Menetrier, M., NMR study of the LiMnPO4 center dot OH and MPO4 center dot H2O (M=Mn, V) homeotypic phases and DFT calculations. Solid State Nuclear Magnetic Resonance 2012, 42, 42-50. Baggio, R.; Contreras, D.; Moreno, Y.; Arrue, R.; Paulus, I. E.; Pena, O.; Pivan, J. Y., Magneto-structural study and synthesis optimization of a phosphovanadate copper complex, [Cu(VO)(2)(PO4)(2)(H2O)(4)](n). Journal of Coordination Chemistry 2012, 65, (13), 2319-2331. Babizhetskyy, V.; Simon, A.; Hoch, C.; Hiebl, K.; Le Polles, L.; Gautier, R.; Halet, J. F., Structural, electronic and magnetic properties of layered REB2C compounds (RE=Dy, Tm, Lu). Journal of Solid State Chemistry 2012, 191, 121-128. Ahmed, M. T.; Chaabane, T.; Maachi, R.; Darchen, A., Efficiency of a Pretreatment by Electrocoagulation with Aluminum Electrodes in a Nanofiltration Treatment of Polluted Water. Iswee’11 2012, 33, 465-474. Venegas-Yazigi, D.; Hermosilla-Ibanez, P.; Costamagna, J.; Spodine, E.; Vega, A.; Paredes-Garcia, V.; Le Fur, E., A Novel Coordination Polymer Based on Decavanadate Units Linked by Copper(II) Ethylenediamine Complexes. In Macromolecular Complexes, 2011; Vol. 304, pp 80-86. Sivasankar, V.; Ramachandramoorthy, T.; Darchen, A., Manganese dioxide improves the efficiency of earthenware in fluoride removal from drinking water. Desalination 2011, 272, (1-3), 179-186. Mousser, H.; Amri, R.; Madani, A.; Darchen, A.; Mousser, A., Microchemical surface analysis of two Numidian coins. Applied Surface Science 2011, 257, (14), 5961-5965. Meleard, P.; Pott, T.; Bouvrais, H.; Ipsen, J. H., Advantages of statistical analysis of giant vesicle flickering for bending elasticity measurements. European Physical Journal E 2011, 34, (10). Gougeon, P.; Gall, P.; Cuny, J.; Gautier, R.; Le Polles, L.; Delevoye, L.; Trebosc, J., Synthesis, Crystal and Electronic Structures, and Magnetic Properties of LiLn9Mo16O35 (Ln=La, Ce, Pr, and Nd) Compounds Containing the Original Cluster Mo16O36. Chemistry-a European Journal 2011, 17, (49), 13806-13813. Gautier, R.; Furet, E.; Gautier, R.; Audebrand, N.; Le Fur, E., A new combined approach to investigate stacking faults in lamellar compounds. Zeitschrift Für Kristallographie Proceedings 2011, 49-54. Gautier, R.; Audebrand, N.; Furet, E.; Gautier, R.; Le Fur, E., VOPO4 center dot H2O: A Stacking Faults Structure Studied by X-ray Powder Diffraction and DFT-D Calculations. Inorganic Chemistry 2011, 50, (10), 4378-4383. Deschamps, M.; Roiland, C.; Bureau, B.; Yang, G.; Le Polles, L.; Massiot, D., Se-77 solid-state NMR investigations on AsxSe1-x glasses using CPMG acquisition under MAS. 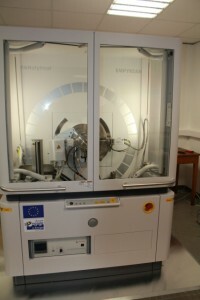 Solid State Nuclear Magnetic Resonance 2011, 40, (2), 72-77. Cuny, J.; Yates, J. R.; Gautier, R.; Furet, E.; Le Fur, E.; Le Polles, L., Electric field gradient calculations in paramagnetic compounds using the PAW approach. Application to Na-23 NMR in layered vanadium phosphates. 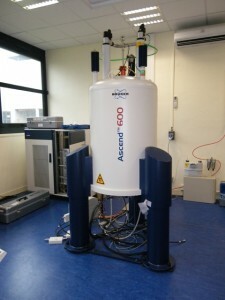 Magnetic Resonance in Chemistry 2011, 48, S171-S175. Cuny, J.; Sykina, K.; Fontaine, B.; Le Polles, L.; Pickard, C. J.; Gautier, R., Mo-95 nuclear magnetic resonance parameters of molybdenum hexacarbonyl from density functional theory: appraisal of computational and geometrical parameters. Physical Chemistry Chemical Physics 2011, 13, (43), 19471-19479. Brown, K.; Car, P. E.; Vega, A.; Venegas-Yazigi, D.; Paredes-Garcia, V.; Vaz, M. G. F.; Allao, R. A.; Pivan, J. Y.; Le Fur, E.; Spodine, E., Polyoxometalate cluster [V12B18O60H6] functionalized with the copper(II) bis-ethylenediamine complex. Inorganica Chimica Acta 2011, 367, (1), 21-28. Zelinska, M.; Oryshchyn, S.; Zhak, O.; Pivan, J. Y.; Potel, M.; Tougait, O.; Noel, H.; Kaczorowski, D., Crystal structure and physical properties of the new ternary antimonides Ln(3)Pd(8)Sb(4) (Ln=Y, Gd, Tb, Dy, Ho, Er, Tm). Journal of Solid State Chemistry 2010, 183, (9), 2121-2126. Vinod Chandran, C.; Cuny, J.; Gautier, R.; Le Polles, L.; Pickard, C. J.; Bräuniger, T., Improving sensitivity and resolution of MQMAS spectra: a 45Sc-NMR case study of scandium sulphate pentahydrate. Journal of Magnetic Resonance 2010, in press. Tchomgui-Kamga, E.; Ngameni, E.; Darchen, A., Evaluation of removal efficiency of fluoride from aqueous solution using new charcoals that contain calcium compounds. Journal of Colloid and Interface Science 2010, 346, (2), 494-499. Tchomgui-Kamga, E.; Alonzo, V.; Nanseu-Njiki, C. P.; Audebrand, N.; Ngameni, E.; Darchen, A., Preparation and characterization of charcoals that contain dispersed aluminum oxide as adsorbents for removal of fluoride from drinking water. Carbon 2010, 48, (2), 333-343. Tchamango, S.; Nanseu-Njiki, C. P.; Ngameni, E.; Hadjiev, D.; Darchen, A., Treatment of dairy effluents by electrocoagulation using aluminium electrodes. Science of the Total Environment 2010, 408, (4), 947-952. Ricordel, C.; Darchen, A.; Hadjiev, D., Electrocoagulation-electroflotation as a surface water treatment for industrial uses. Separation and Purification Technology 2010, 74, (3), 342-347. Oryshchyn, S.; Babizhetskyy, V.; Zhak, O.; Zelinska, M.; Pivan, J. Y.; Duppel, V.; Simon, A.; Kienle, L., The new ternary pnictides Er12Ni30P21 and Er13Ni25As19: Crystal structures and magnetic properties. Journal of Solid State Chemistry 2010, 183, (11), 2534-2543. Mousser, H.; Darchen, A.; Mousser, A., Unexpected fragmentation of phenyldithiobenzoate, formation and X-ray structure of [mu,eta(2)(S,S)-1,2-(dithio)-1,2-(diphenylethylene)] diiron hexacarbonyl complex. Journal of Organometallic Chemistry 2010, 695, (6), 786-791. Hadjadj, M.; Dadamoussa, B.; Abasq, M. L.; Saidi, M.; Burgot, J. L.; Darchen, A., Radical Scavenger Properties of Some 1,2-Dithiol Compounds Against Electropolymerization of Aniline. Asian Journal of Chemistry 2010, 22, (1), 501-511. Gautier, R.; Colin, J. F.; Le Fur, E., Two caesium vanadium hydrogenphosphates with tunnelled structures: Cs2V2O3(PO4)(HPO4) and Cs-2[(VO)(3)(HPO4)(4)(H2O)]center dot H2O. Acta Crystallographica Section C-Crystal Structure Communications 2010, 66, I12-I15. Cuny, J.; Yates, J. R.; Gautier, R.; Furet, E.; Le Fur, E.; Le Polles, L., Electric field gradient calculations in paramagnetic compounds using the PAW approach. Application to Na-23 NMR in layered vanadium phosphates. Magnetic Resonance in Chemistry 2010, 48, S171-S175. Cuny, J.; Furet, E.; Gautier, R.; Le Polles, L.; Pickard, C. J.; D’Espinose de Lacaillerie, J. B., Density Functional Theory Calculations of 95Mo NMR Parameters in Solid-State Compounds. ChemPhysChem 2010, 10, (18), 3320-3329. Chandran, C. V.; Cuny, J.; Gautier, R.; Le Polles, L.; Pickard, C. J.; Brauniger, T., Improving sensitivity and resolution of MQMAS spectra: A Sc-45-NMR case study of scandium sulphate pentahydrate. Journal of Magnetic Resonance 2010, 203, (2), 226-235. Camara, I. S.; Gautier, R.; Le Fur, E.; Trombe, J. C.; Galy, J.; Ghorayeb, A. M.; Stepanov, A., Electron spin resonance in three spin-1/2 dimer systems: VO(HPO4)center dot 0.5H(2)O, KZn(H2O)(VO)(2)(PO4)(2)(H2PO4), and CsV2O5. Physical Review B 2010, 81, (18). Calvez, G.; Daiguebonne, C.; Guillou, O.; Pott, T.; Meleard, P.; Le Dret, F., Lanthanide-based hexanuclear complexes usable as molecular precursors for new hybrid materials. Comptes Rendus Chimie 2010, 13, (6-7), 715-730. Bouvrais, H.; Pott, T.; Bagatolli, L. A.; Ipsen, J. H.; Meleard, P., Impact of membrane-anchored fluorescent probes on the mechanical properties of lipid bilayers. Biochimica Et Biophysica Acta-Biomembranes 2010, 1798, (7), 1333-1337. Bouvrais, H.; Garvik, O. S.; Pott, T.; Meleard, P.; Ipsen, J. H., Mechanics of POPC Bilayers in Presence of Alkali Salts. Biophysical Journal 2010, 98, (3), 272A-272A.